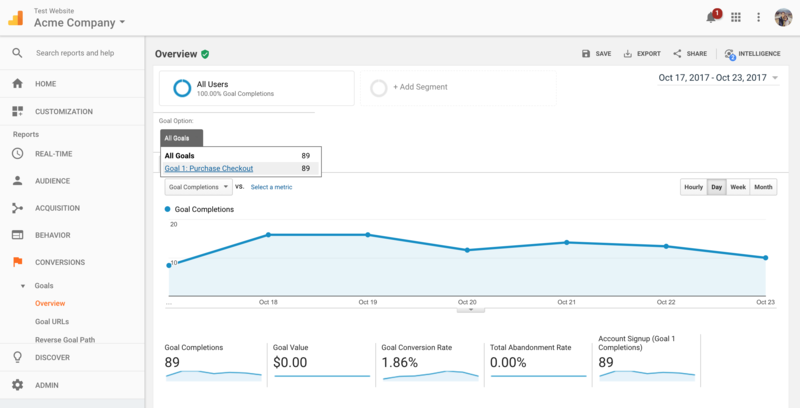 Google Analytics is the ubiquitous analytics platform most businesses rely on for gauging performance, optimizations, and user behavior. Re:amaze integrates with Google Analytics natively and automatically whenever you have Reamaze.js (Shoutbox, Lightbox, embedded FAQ, embedded contact form) installed on your website or storefront. 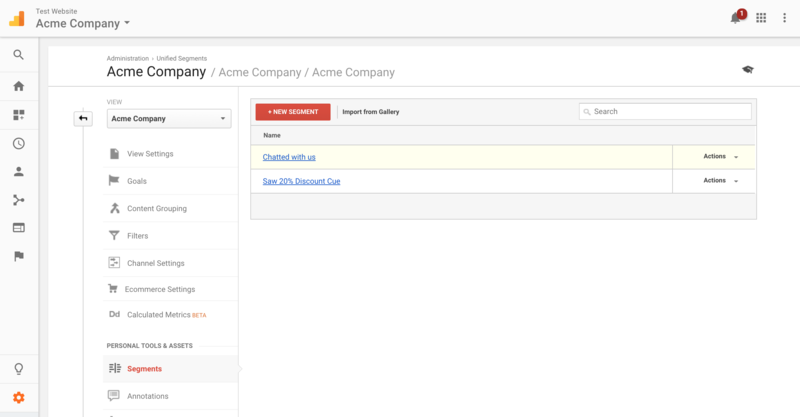 Storeowners on platforms like Shopify, BigCommerce, WooCommerce, can effectively use Re:amaze and Google Analytics together to gauge support performance and whether conversations with customers lead to actual sales! 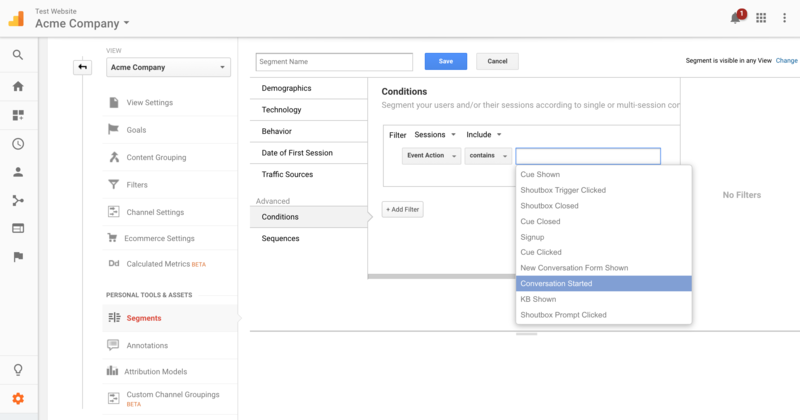 For a list of Re:amaze event actions that are automatically tracked by Google Analytics, see https://www.reamaze.com/developer/analytics. The first step to getting started should be to set up your goals. 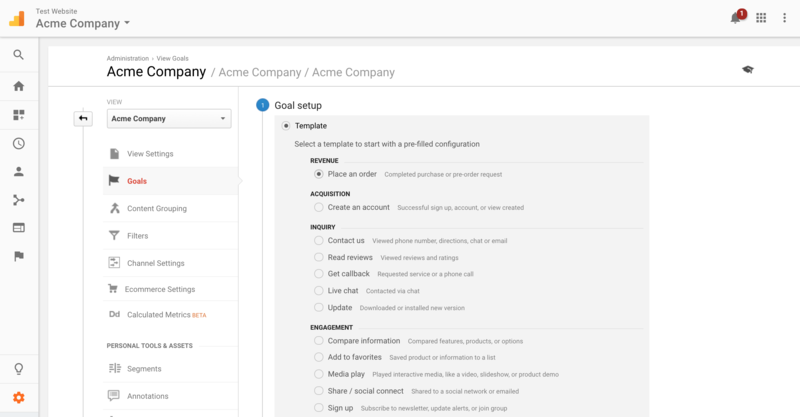 Goals are specific actions your users take that indicate a unique opportunity for your business. This could be a sign-up action, a purchase action, or account creation action. 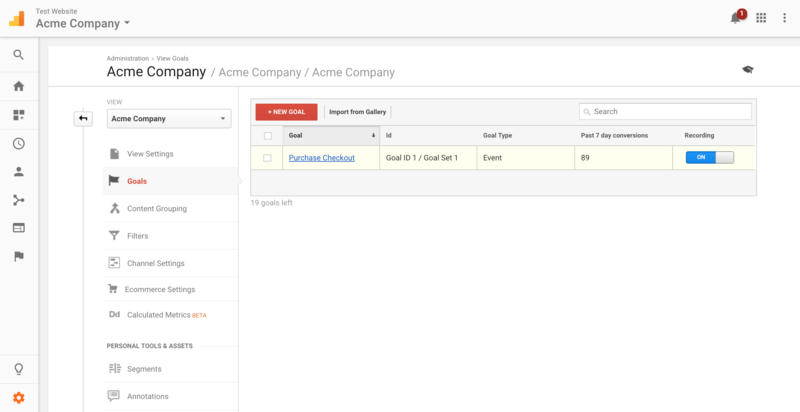 You can create new goals by clicking on the admin settings page in your Google Analytics account and then on "Goals". If you're looking for Shopify goals, check out this page. 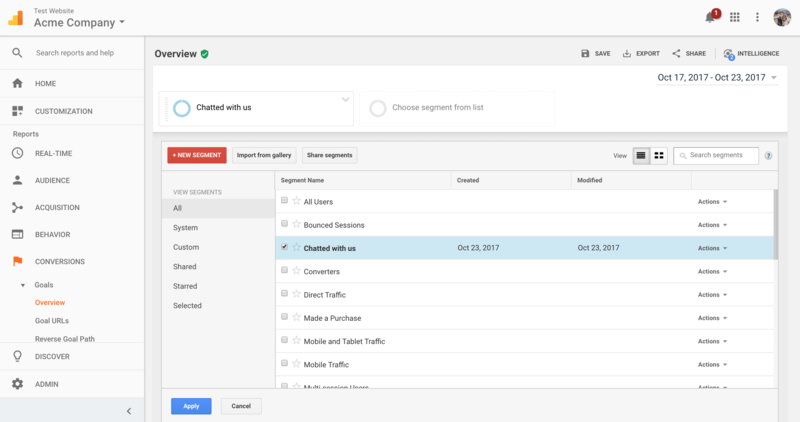 Once you have your goals created, you can create segments to filter out users that have performed specific Re:amaze event actions. 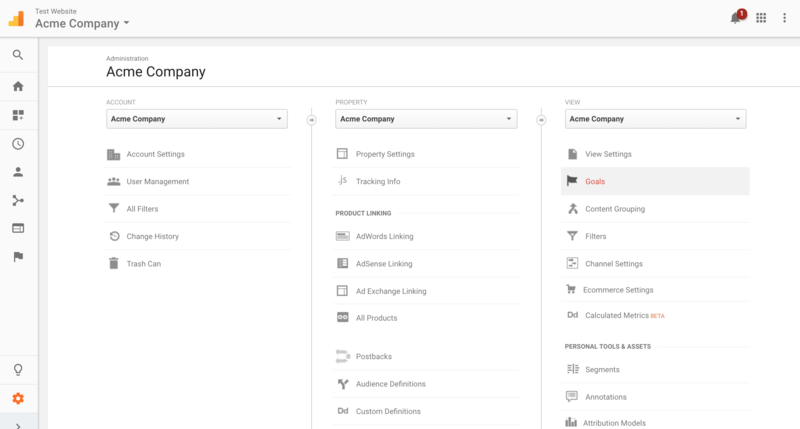 Combined with goals, segments will be able to show you a subset of users that have completed goals. You can create a new Re:amaze based segment by choosing the "Conditions" option, filter for "Event Action" and pick from a list of Re:amaze event actions. The list of event actions available to you will depend on what features you have enabled within Re:amaze. Once you have created your goals and segments, you can begin to look for pertinent user conversion metrics. 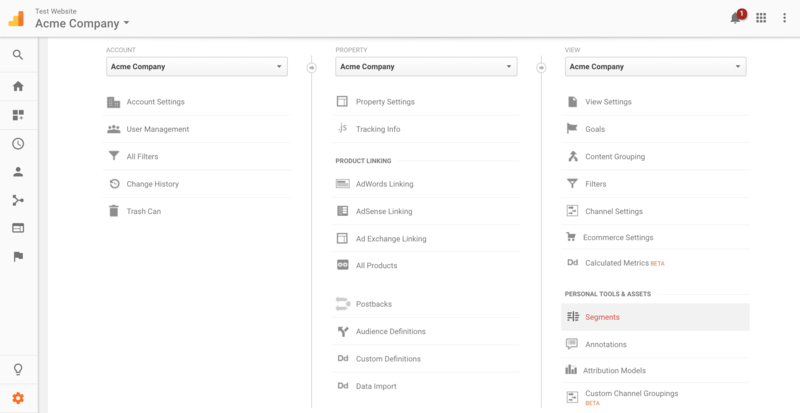 Go back to your Google Analytics home screen and select the "Conversions" tab and select "Overview". 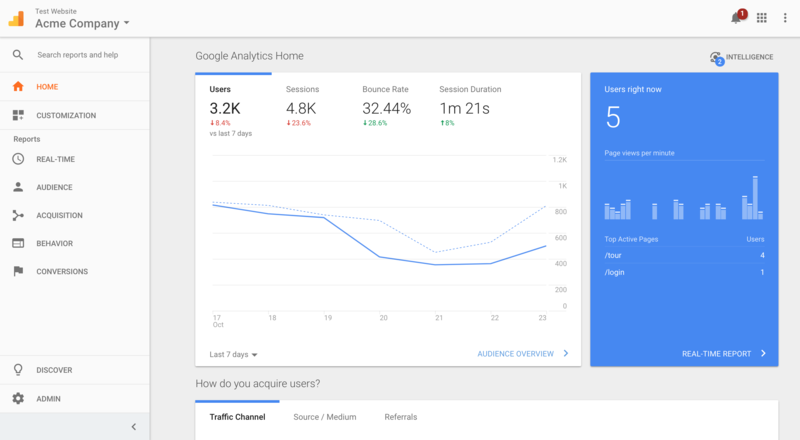 Make sure to select the goal you'd like metrics for. Select a segment you'd like to look at. In this example, we're going to look at the segment of users who've started a chat conversation and completed the goal for making a purchase. Once you've selected the segment, click on "Apply" and wait for the dashboard to update. Based on the sample data above, we can see that 4 users completed the overall goal of completing a purchase. 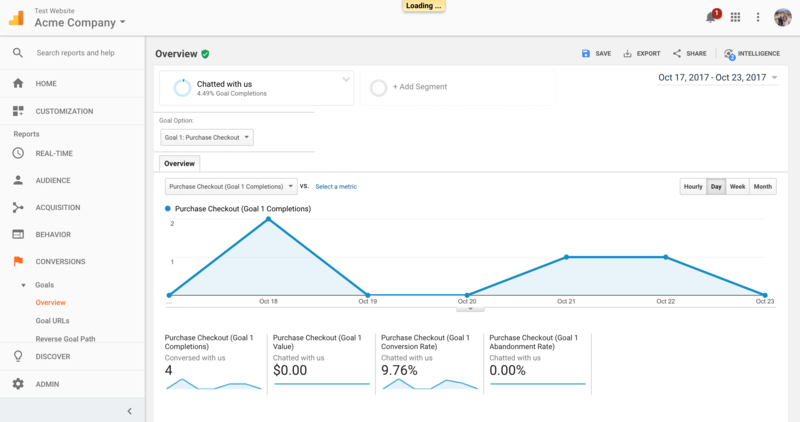 These 4 users also completed the purchase checkout goal as a result of having started a chat conversation previously.